Tim Tebow just received some huge news. 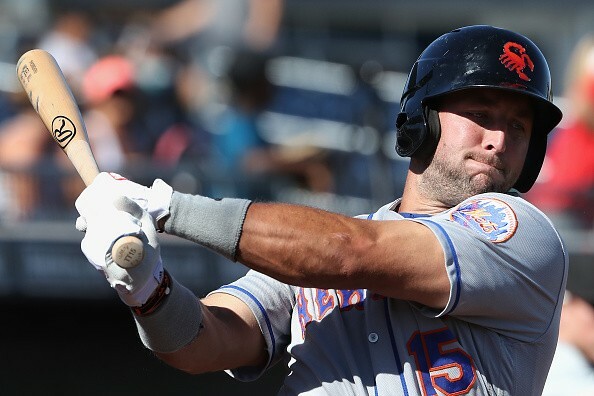 The Mets have invited Tebow to major league spring training for the second consecutive season, the team announced Friday. The former NFL QB was just one of nine players the franchise has invited to train with the big league club. The former Heisman Trophy winner hit a combined .226 last season as he spent time with New York’s single-A and high-A affiliates. Tebow also hit eight home runs in the 126 games he played in. During the offseason, Tebow is a very busy man as he is a college football analyst for ESPN and the SEC Network. Despite his efforts to get back into the NFL, he has not appeared in an actual game since 2012, when he played for the New York Jets.